Old Navy: Pants for the Family on Sale! Adults Only $15, Kids & Toddler only $10! Today Only! 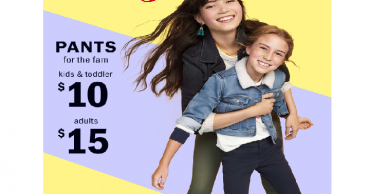 Old Navy: Adult Pants Only $12, Kids Pants Only $10! Today Only!